Even through the freezing temperatures we experienced this week, the tulips and daffodils held their spectacular color, adding to an already beautiful backdrop along green and tee complexes. 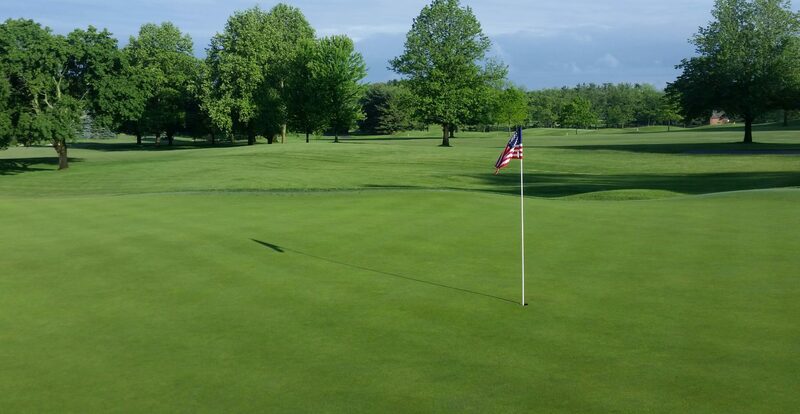 With the drier start to spring that we have had, it has been nice to produce firm conditions without being aggressive in our daily maintenance. With each week, I am gaining additional staff where we will begin to regularly walk mow greens and increase our frequencies maintaining areas as well. 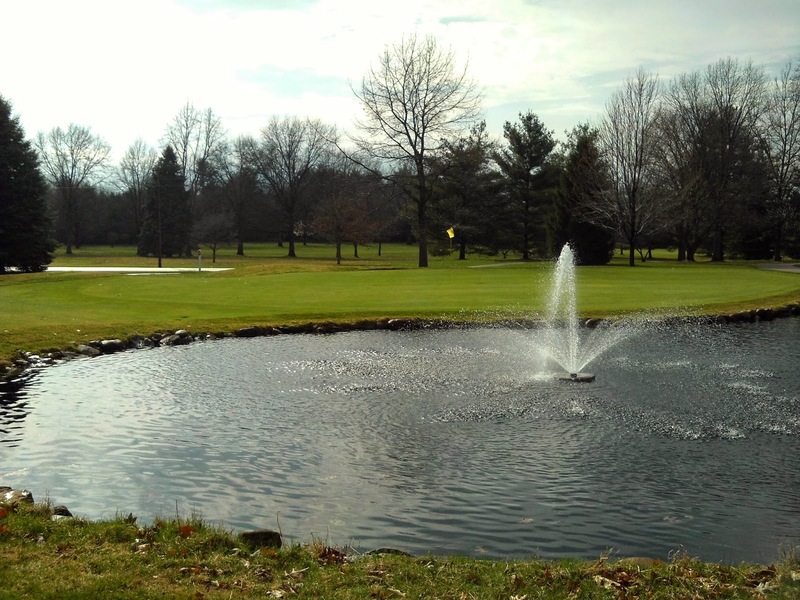 I have been proud of my staff for their efforts and hard work in getting the golf course into season shape, while working hard on our numerous Spring projects. Our preemergent applications for grassy weeds and early season broadleaf weeds will be completed this coming week. 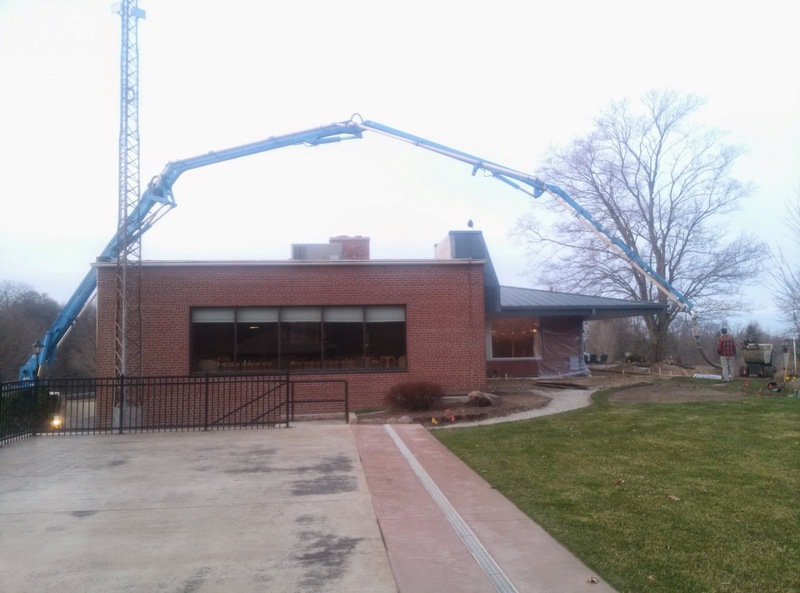 The high winds that visited Elcona all of last week hampered any plans of applying those. There is still some time to apply these preventative applications to your yard if you have not as well. The terrace project continues to march along. 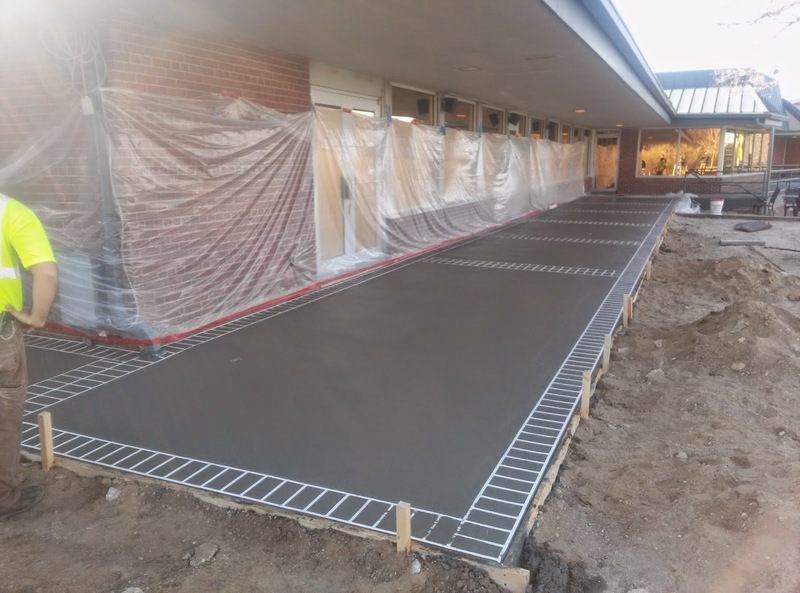 Last week, ConCreations was onsite to demo the existing concrete around the Club and Fireside Rooms, and pour a new slab of stamped concrete in those areas to match the existing colors and patterns of the walking path outside the Ballrooms and View. It was quite the process, as the pictures abo show. Seeing a boom over the building was quite the show! 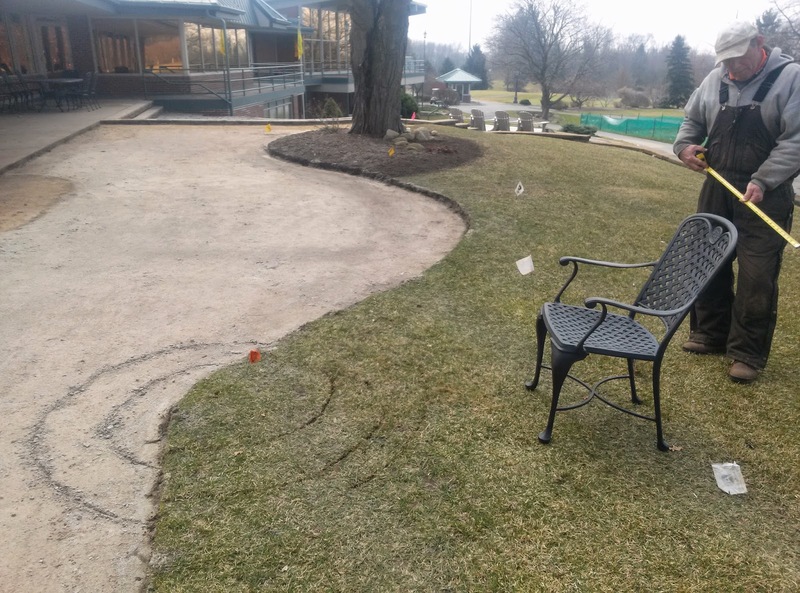 The remaining sod in the new area was transplanted to some open stump holes on the course, and a gas line was run both to the location of the new firepit and a future grill hook up on the north side of the new terrace edge. 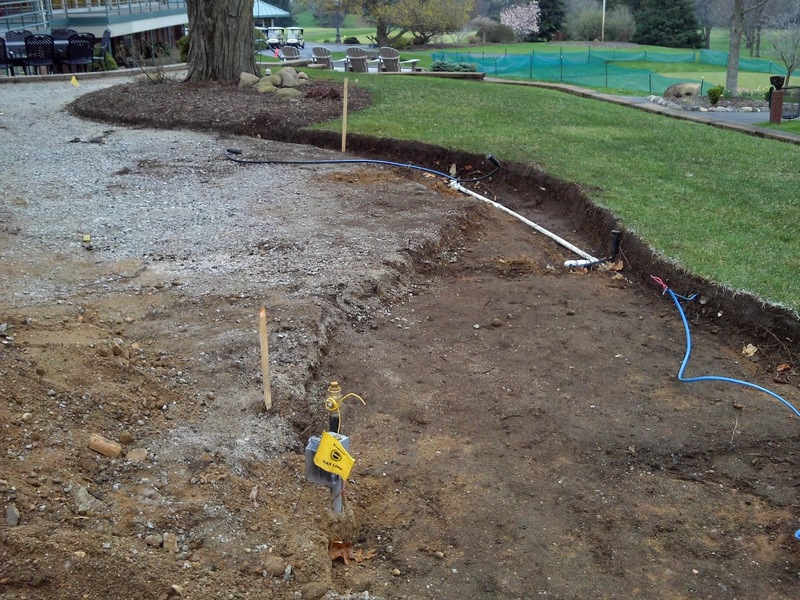 Irrigation was re-routed around the new paver area and any topsoil that was in the area was removed by hand to ensure wires and pipes were not disturbed. 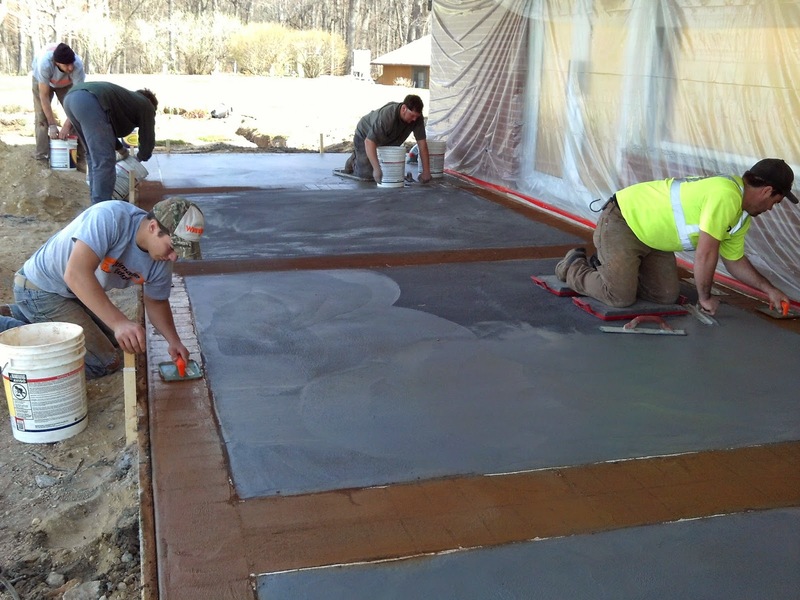 The next steps in this project involve setting the final grade for the pave stones. 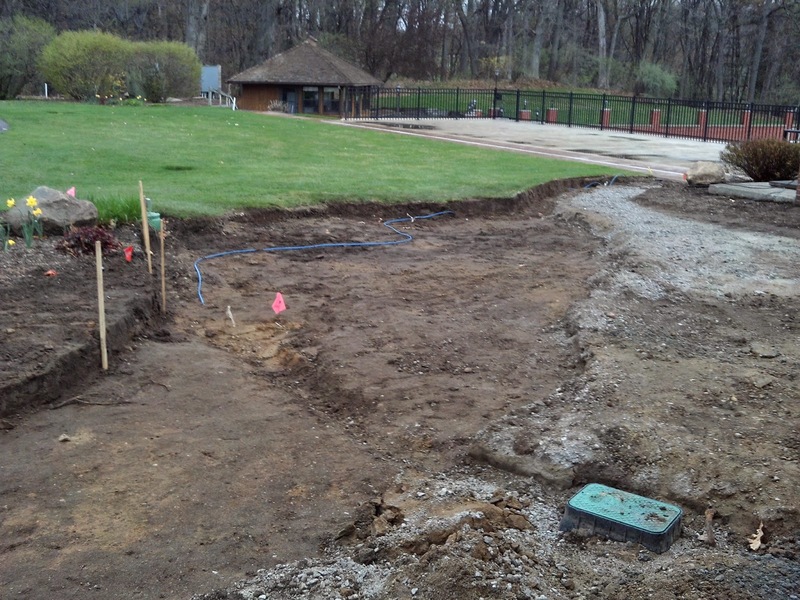 We will be adding or taking away subgrade to make a even base to add our aggregate base layer, which will be compaction gravel. The gravel must be a compacted level of at least 4″ in depth. On top of that gravel will be a 1/2″ layer of sand, which serves as the base for the actual pave stone. Before all of these aggregates are added, we will be taking several readings with survey equipment to establish and marking these on wood stakes. 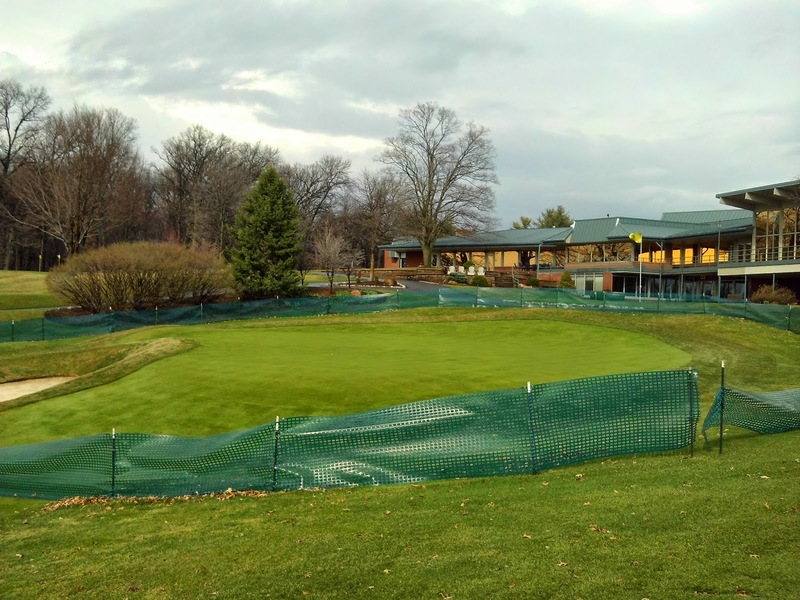 18 green also continues to be on schedule for its grand opening one week from today. In the last two weeks, it have been aerified both with 1/2″ cores and 3/4″ solid deep tines to further smooth the playing surface and create new channels for air, water, and roots to go. This aerification has also allowed the generous application of topdressing sand to further smooth the surface as well, as you may have noticed. The height of cut currently is at .165″, which is .04″ above the other greens on the course. I will have more information on the green later on in the week, so stay tuned! Sod work continues to be completed as well. 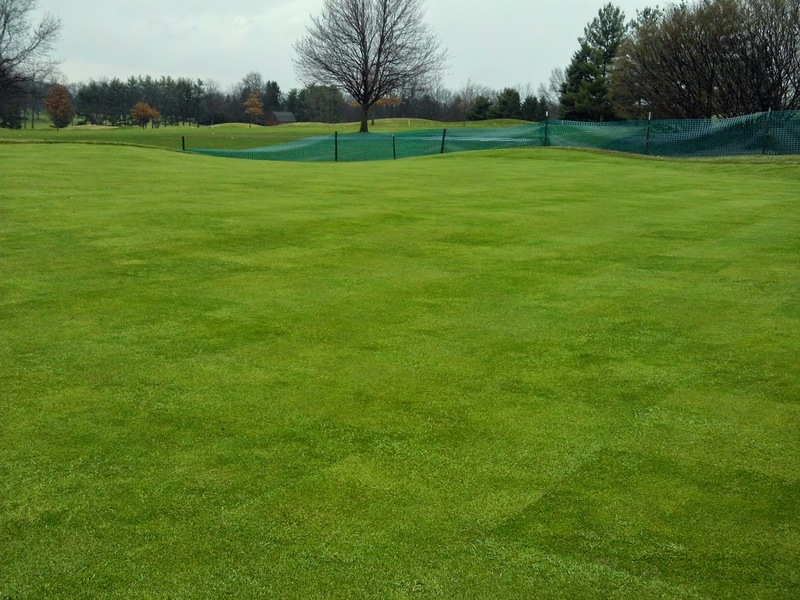 Areas that are both newly laid sod and yet to be completed will be marked as “Ground Under Repair”, so please continue to take relief if your ball lands in these areas. If you have any questions, please do not hesitate to contact me. I have enjoyed seeing many familiar faces return to Elcona, along with some new faces as well. See you on the course! 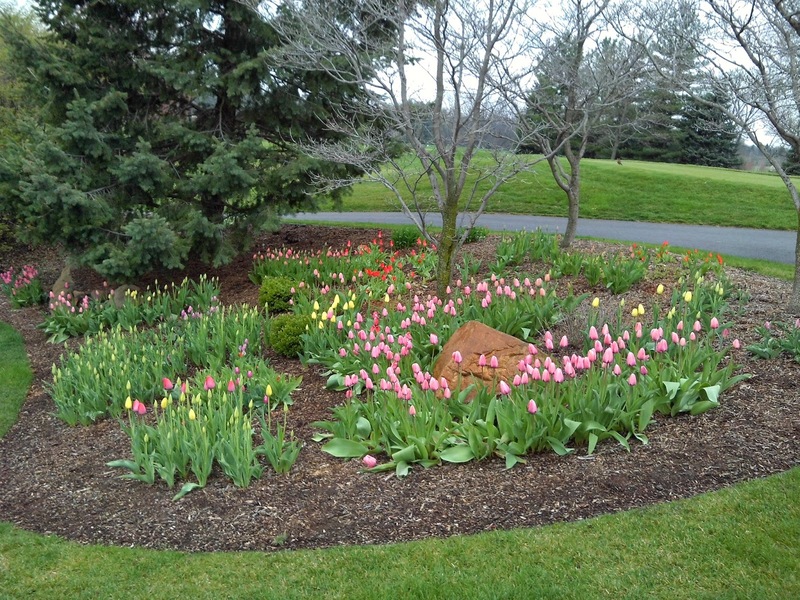 What a difference a week (and some timely Spring rains) make on the color of the golf course. 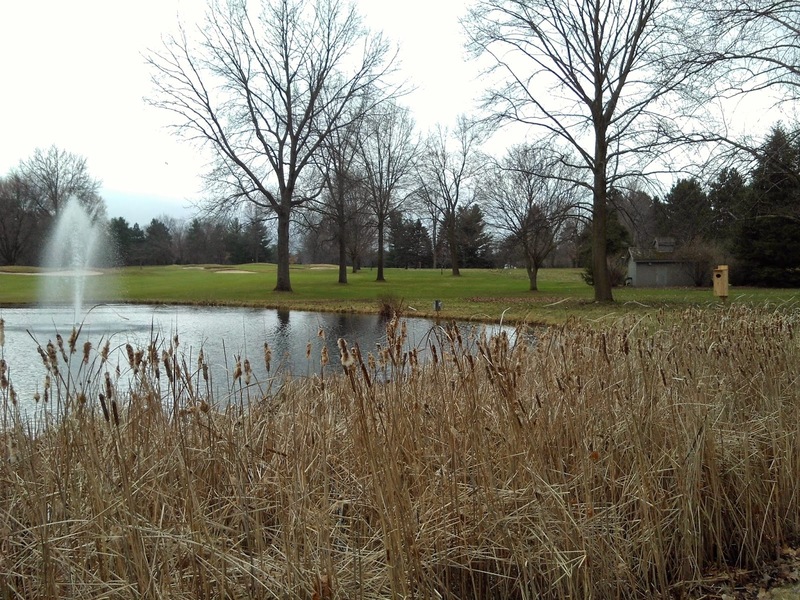 All of the fine playing surfaces have greened significantly and there are only a few small areas of winter injury that are slow to green. Mowing schedules at this time are still on an “as needed” basis, but will pick up with more consistent warmer weather. Aerification on green and fairway surfaces were completed successfully this past week as well. Our Spring project schedule has picked up in progress within the last week as well. 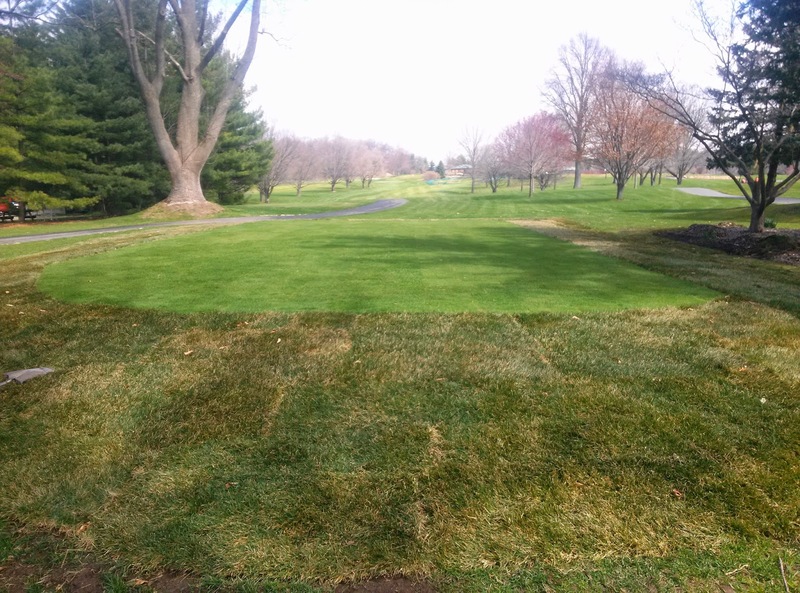 18 green continues to round into form as it returns from its winter dormancy. Our mowing heights have dropped from a beginning point of .225″ to currently .200″. Within the next three weeks the green will be aerified and topdressed further to help smooth out the surface. 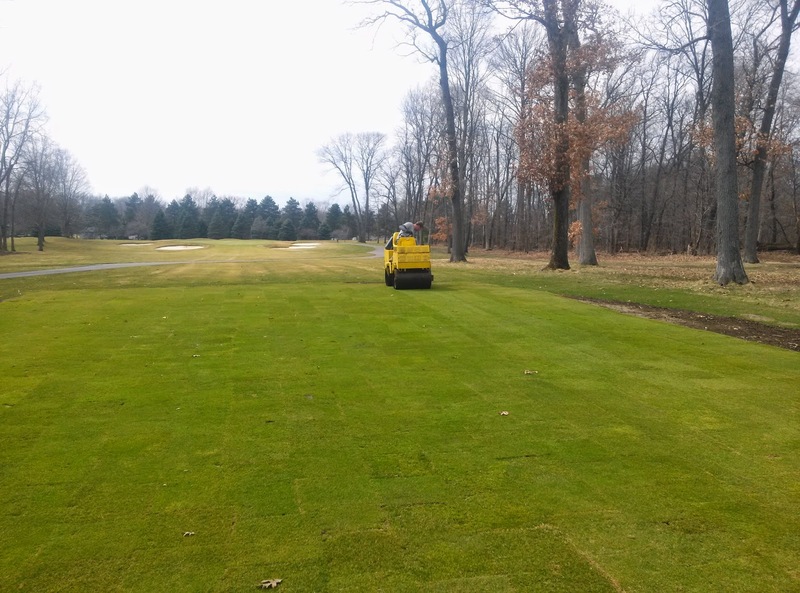 We will continue to gradually lower the mowing height (.015″ weekly) until the turf is comfortably mowed at the same hieght of cut as the other greens, .120″. 13 and 18 tees begin to take shape as well. 18 tee was re-sodded using sod from the practice fairway due to the inconsistencies and health of the sod taken off of the tee last fall. We had a heavy roller come in this week and roll 13 tee to further smooth that surface out. 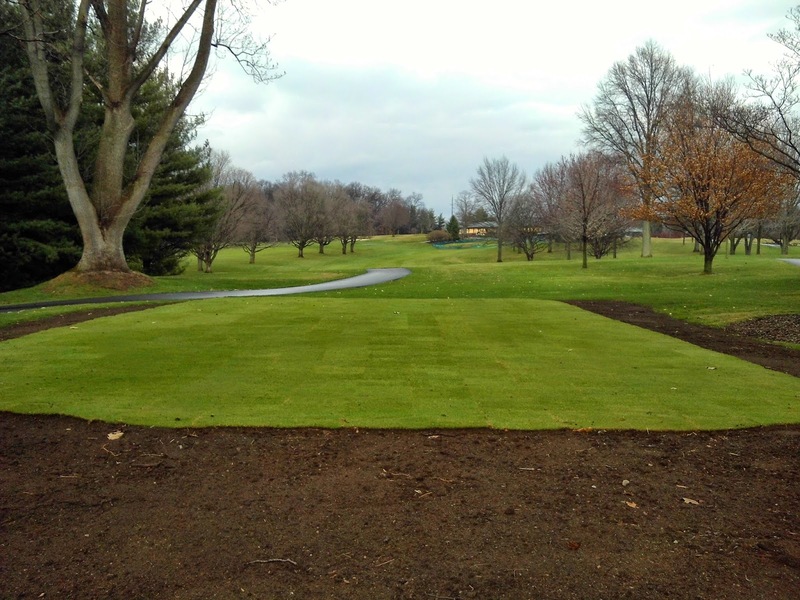 Our bluegrass sod supplier will be opening next week, so expect to start seeing these surrounds, as well as the stump holes from the winter tree work, to be grass instead of soil. Similar to 18 green, these tees will be aerified further over the course of the season to continually smooth any imperfections out. Phase 2 of the Terrace Project has begun as well. 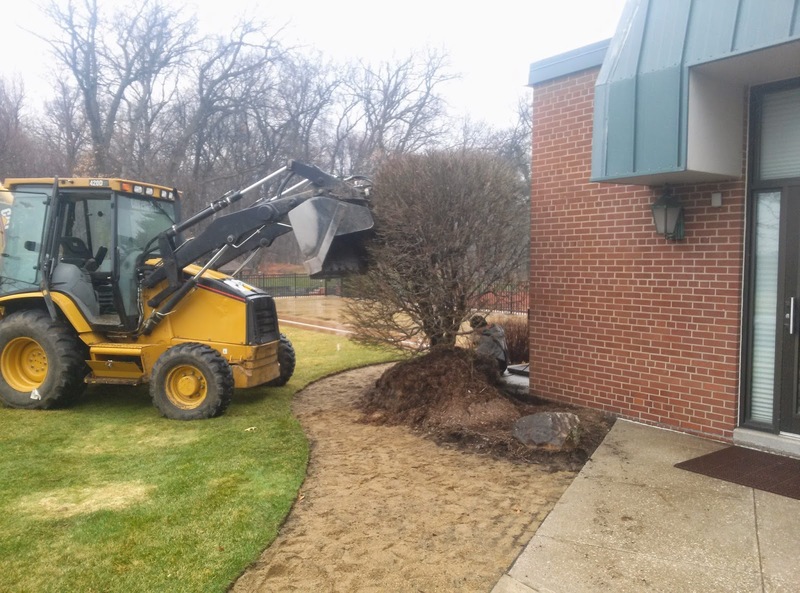 Our staff this week removed all of the old pavers, scooped out the old aggregate material below, and even removed the large burning bush at the corner of the building. 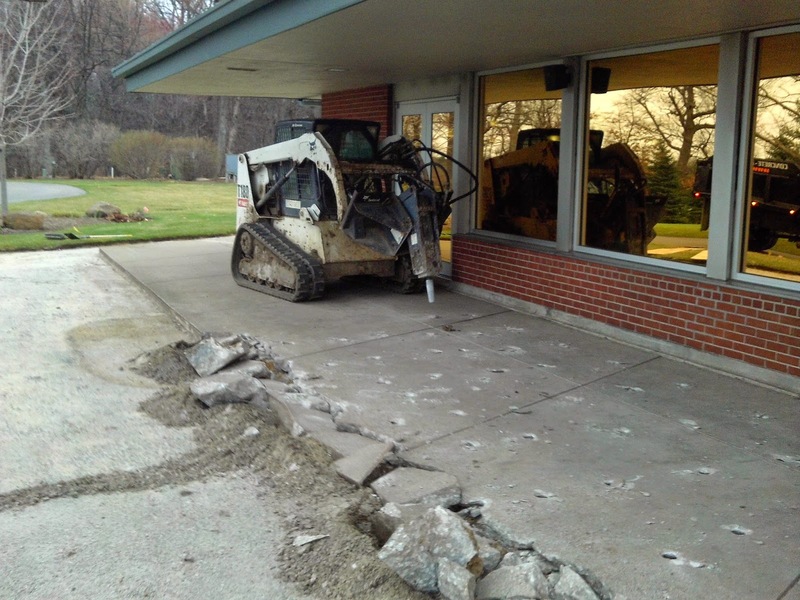 The concrete walkway outside of the club room and Fireside room was torn out on Friday as well. Next week, the gas line to the new fire pit will be run, as well as the pouring of a new stamped concrete walkway that will mirror the current look outside of the ball room balcony. As this is a construction site now, please watch your step around the terrace. Stay tuned for more updates on this great addition to the clubhouse! 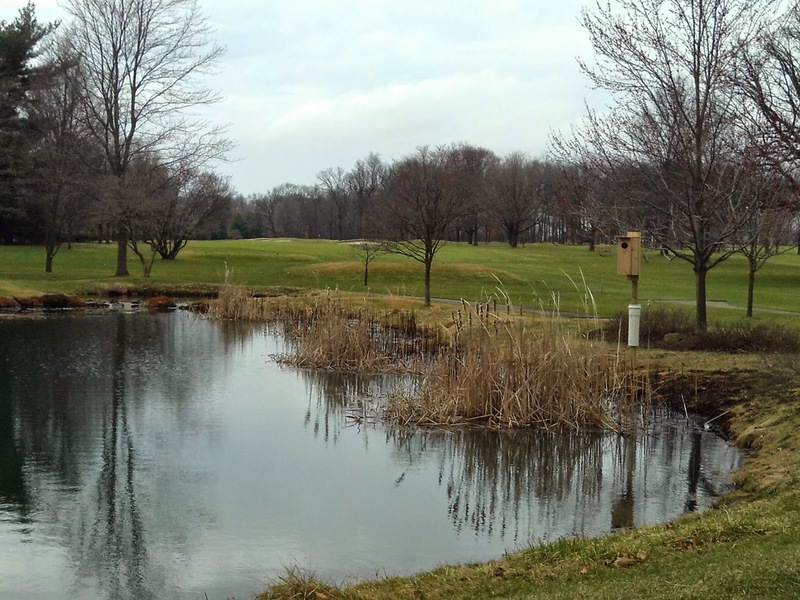 Finally, our wood duck nesting boxes have been placed on the golf course, one near the pond on 3, and the other on 14’s pond. An additional box will be placed on the property, although its location has not been determined yet. It will be interesting to see if we get a pair to nest in them, which we will monitor as part of Elcona’s Audubon Program. There is a lot going on this Spring, and that’s a great thing! If you have any questions on these or other projects on the golf course, feel free to ask me! Have a great week and I will see you on the golf course!